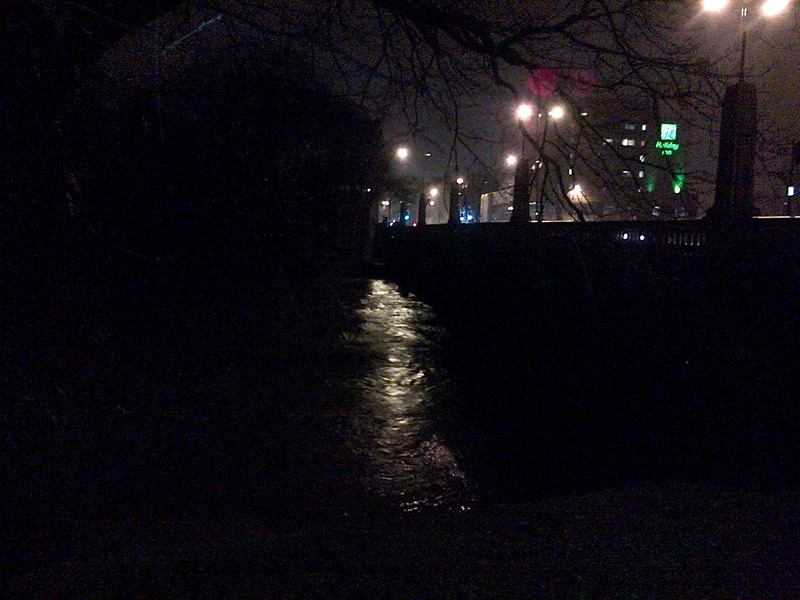 I took this with my Blackberry walking home on Monday night along the Taff embankment in the torrential rain; it was taken just by Cardiff Bridge where the Taff flows under Castle Street/Cowbridge Road. As you can see, the river was pretty swollen as the result of recent heavy downpours. Yet another flood alert was issued yesterday afternoon, but I have seen the Taff higher than this. It’s still an impressive beast when it’s got its dander up, growling along as it speeds down towards Cardiff Bay. This entry was posted on January 31, 2013 at 11:03 am and is filed under Uncategorized with tags Cardiff, Cardiff Bridge, River Taff. You can follow any responses to this entry through the RSS 2.0 feed. You can leave a response, or trackback from your own site.